MOCANU, B. , TAPU, R. , ZAHARIA, T.
In this paper we introduce a novel framework for 3D object metamorphosis, represented by closed triangular meshes. The systems returns a high quality transition sequence, smooth and gradual, that is visual pleasant and consistent to both source and target topologies. The method starts by parameterizing both the source and the target model to a common domain (the unit sphere). Then, the features selected from the two models are aligned by applying the CTPS C2a radial basis functions. We demonstrate how the selected approach can create valid warping by deforming the models embedded into the parametric domain. In the final stage, we propose and validate a novel algorithm to construct a pseudo-supermesh able to approximate both, the source and target 3D objects. By using the pseudo-supermesh we developed a morphing transition consistent with respect to both geometry and topology of the 3D models. T. Kanai, H. Suzuki, F. Kimura, "Three-dimensional geometric metamorphosis based on harmonic maps," The Visual Computer, vol. 14(4), pp. 166-176, 1998. M. Eck, T. DeRose, T. Duchamp, H. Hoppe, M. Lounsbery, W. Stuetzle, "Multiresolution analysis of arbitrary meshes," Proc. SIGGRAPH, pp. 173-182, 1995. J. R. Kent, W. E. Carlson, R. E. Parent, "Shape transformation for polyhedral objects," Computer Graphics, SIGGRAPH Proceedings, vol.2, pp. 47-54, 1992. M. Alexa, "Merging polyhedral shapes with scattered features," The Visual Computer, vol. 16, pp. 26-37, 2000. N. Arad, D. Reisfeld, "Image Warping Using few Anchor Points and Radial Basis Functions," Computer Graphics Forum, vol.14, no.1, pp.23-29, 1995. C. H. Lin, T. Lee, "Metamorphosis of 3D polyhedral models using progressive connectivity transformations," IEEE Transaction on visualization and computer graphics, vol. 11(1), pp. 2-12, 2005. H.Y. Wu, C. Pan, Q. Yang, S. Ma, "Consistent correspondence between arbitrary manifold surfaces, " In ICCV, pp. 1-8, 2007. T. Athanasiadis, I. Fudos, C. Nikou, V. Stamati, "Feature-based 3D morphing based on geometrically constrained spherical parameterization," Computer Aided Geometry Description, vol. 29, pp. 2-17, January 2012. V. Stamati, I. Fudos, "A Feature-Based Approach to Re-engineering Objects of Freeform Design by Exploiting Point Cloud Morphology," In Proc. of SPM 2007: ACM Symposium on Solid and Physical Modeling, Beijing, China, pp. 347-353, June 2007. B. Mocanu, T. Zaharia, "Direct Spherical Parameterization Based on Surface Curvature," Workshop on Digital Media and Digital Content Management (DMDCM) 2011, pp. 266-269, 15-16 May 2011. R. Urtasun, M. Salzmann, P. Fua, "3D Morphing without user interaction," Eurographics Symposium on Geometry Processing 2004. T. Athanasiadis, I. Fudos, C. Nikou, V. Stamati, "Feature-based 3D morphing based on geometrically constrained sphere mapping optimization," 25th ACM Symposium on Applied Computing (SAC'10), Sierre, Switzerland, pp.1258-1265, 22-26 March 2010. H. Hoppe, "Mesh Optimization," In Proc. ACM SIGGRAPH, pp. 19-26, 1993. M. Garland, P. S. Heckbert, Surface Simplification Using Quadric Error Metrics," In 24th Annual Conference on Computer Graphics and Interactive, pp. 209-216, 1997. J. P. Lewis, M. Cordner, N. Fong, "Pose Space Deformation: A Unified Approach to Shape Interpolation and Skeleton-Driven Deformation," SIGGRAPH 2000 Proceedings of the 27th annual conference on Computer graphics and interactive techniques, no. 3, pp. 165-172, 2000. T. Ju, S. Schaefer, J. Warren, Mean value coordinates for closed triangular meshes," ACM Trans. Graph., vol. 24, no. 3, pp. 561-566, 2005. O. Weber, O. Sorkine, Y. Lipman, C. Gotsman, "Context-Aware Skeletal Shape Deformation," Computer Graphics Forum vol. 26(3), pp. 265-274, 2007. D. Zorin, P. Schroder, W. Sweldens, Interactive multiresolution mesh editing," In SIGGRAPH '97: Proceedings of the 24th annual conference on Computer graphics and interactive techniques, pp. 259-268, New York, 1997. O. Sorkine, "State-of-The-Art Report: Laplacian Mesh Processing," Eurographics appeared in Computer Graphics Forum, vol. 25(4), 2006. A. Boer, M.S. Schoot, H. Bijl, "Mesh deformation based on radial basis function interpolation," Computers & Structures, vol. 85, pp. 784-795, 2007. P. M. Knupp, "Algebraic Mesh Quality Metrics for Unstructured Initial Meshes," Finite Elements in Analysis and Design, vol.39, pp. 217-241, 2003. Z. J. Zhu, M. Y. Pang, "Morphing 3D Mesh Models Based on Spherical Parameterization," International Conference on Multimedia Information Networking and Security, pp. 309-313, 2009. M. Alexa, "Local control for mesh morphing," Proceedings of Shape Modeling International, pp. 209-215, 2001. J. Hu, L. Liu, G. Wang, "Dual Laplacian morphing for triangular meshes," Computer Animation and Virtual Worlds, vol.18(4/5), pp. 271-277, 2007. 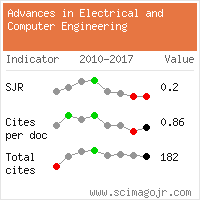 Citations for references updated on 2019-04-21 18:19 in 128 seconds. Website conception, design and maintenance by Eugen COCA. Content updated on 28 Feb 2019. Site engine updated on 28 Feb 2019. This page was generated on the server in 0.096 seconds and loaded in your browser in > seconds.